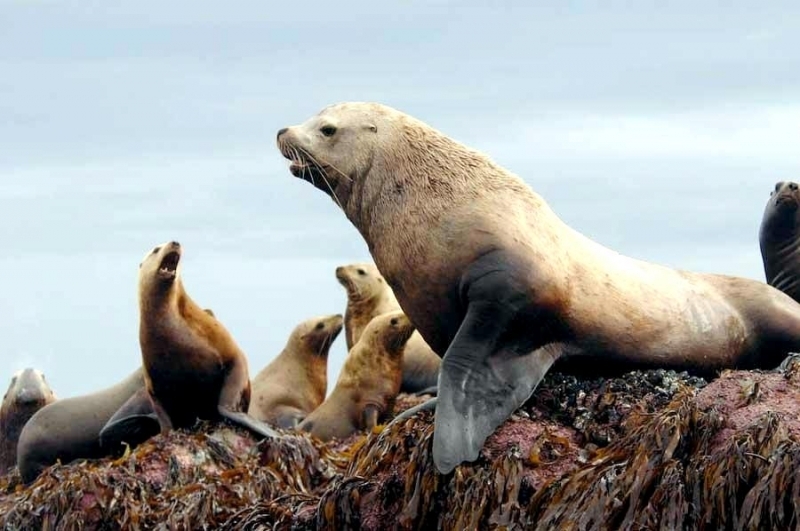 Northern Sea Lions also known as Steller’s Sea Lions, named for the naturalist Georg Wilhelm Steller who first described them in 1741, are the largest of the Otariidae (eared seal) family. 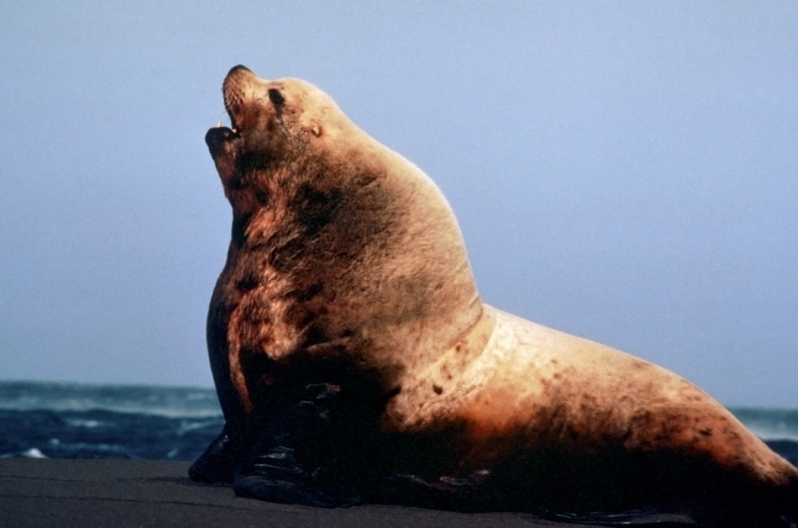 Adult males measure 2.8-3.2 meters in length and weigh an average 566 kilograms (maximum 1,120 kilograms). 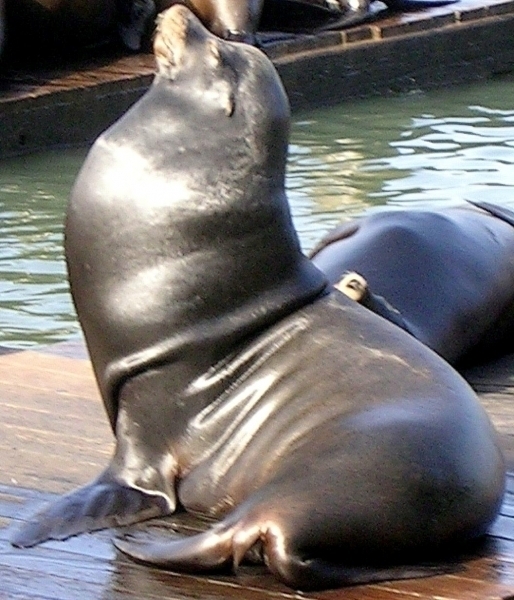 Females reach 2.9 meters in length and 263 kilograms (maximum 350 kilograms) in weight. 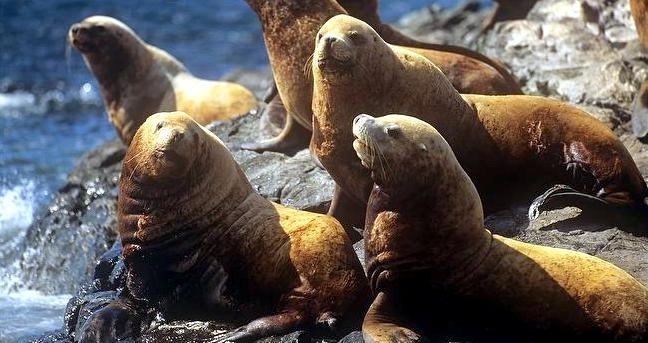 Adult coats are a light tan to reddish-brown color, usually slightly darker on the chest. 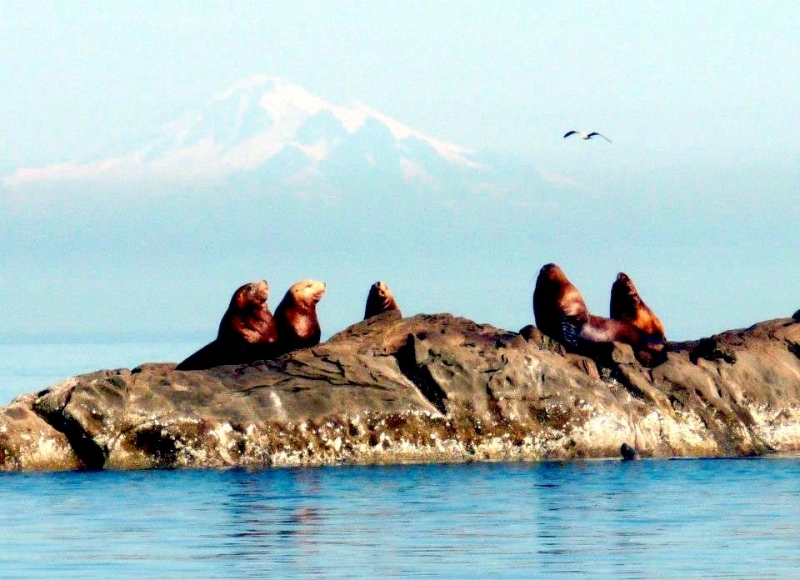 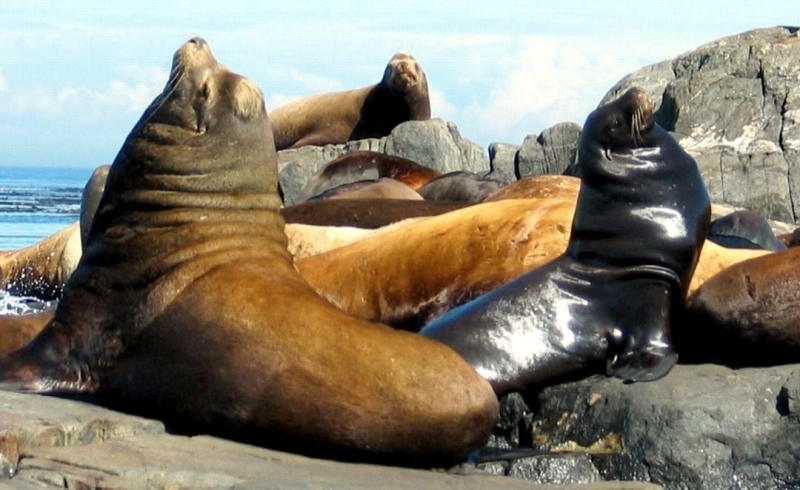 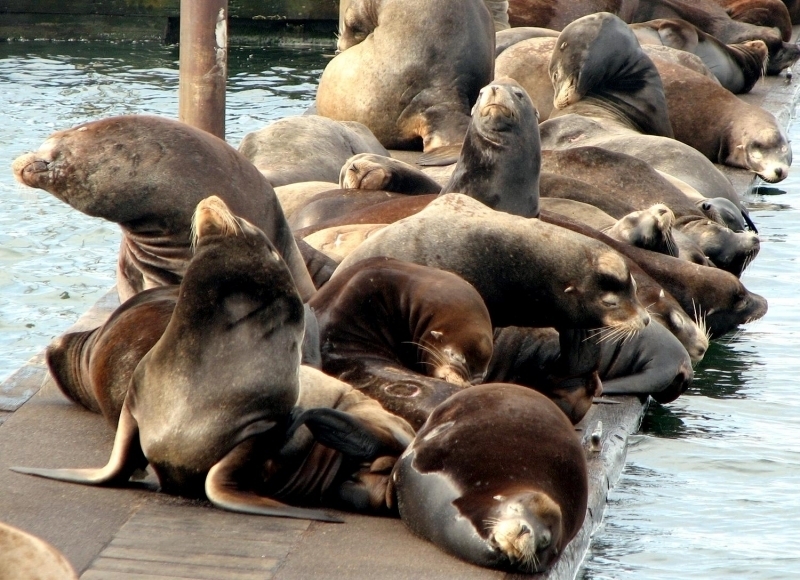 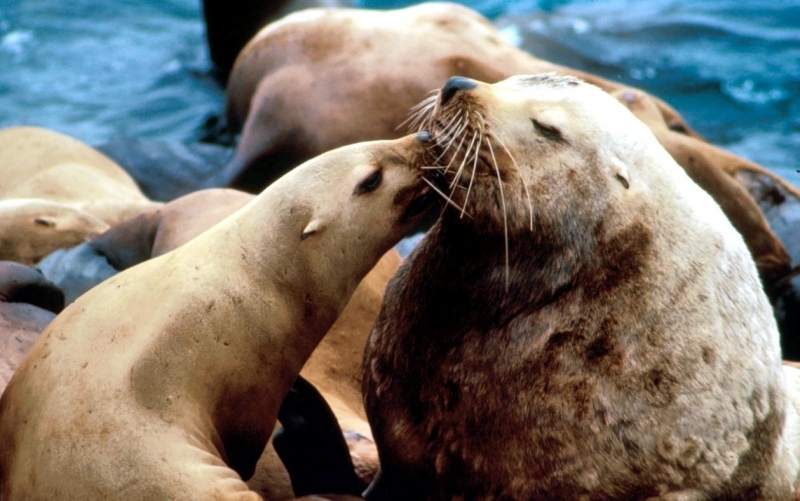 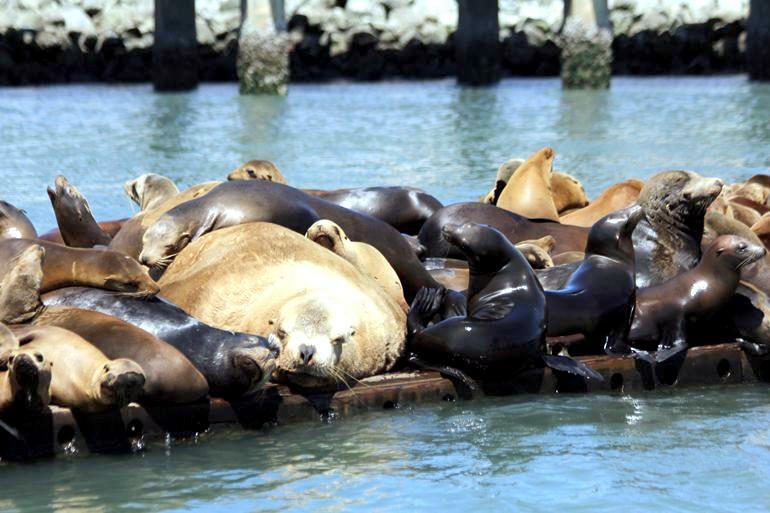 The life span of male Northern Sea Lions is 20 years, females 30 years. 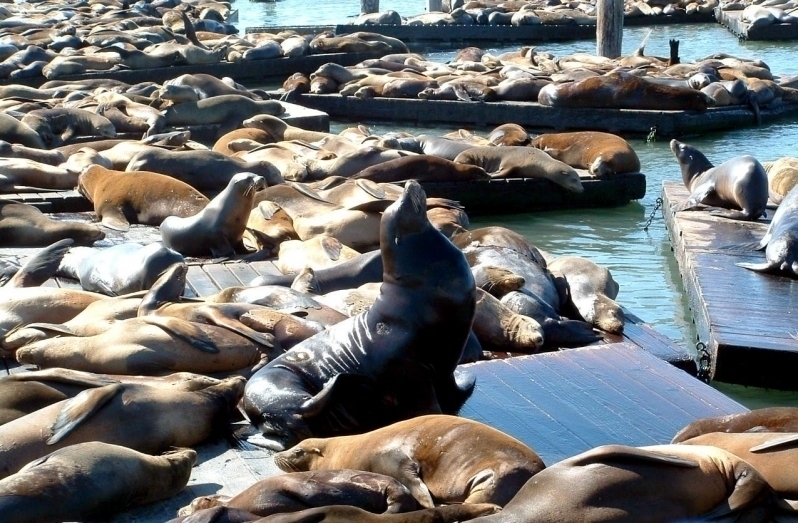 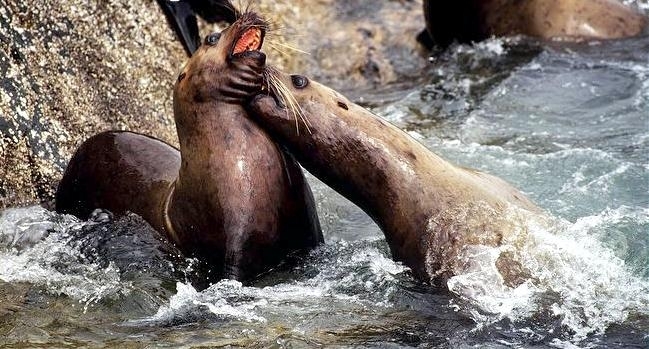 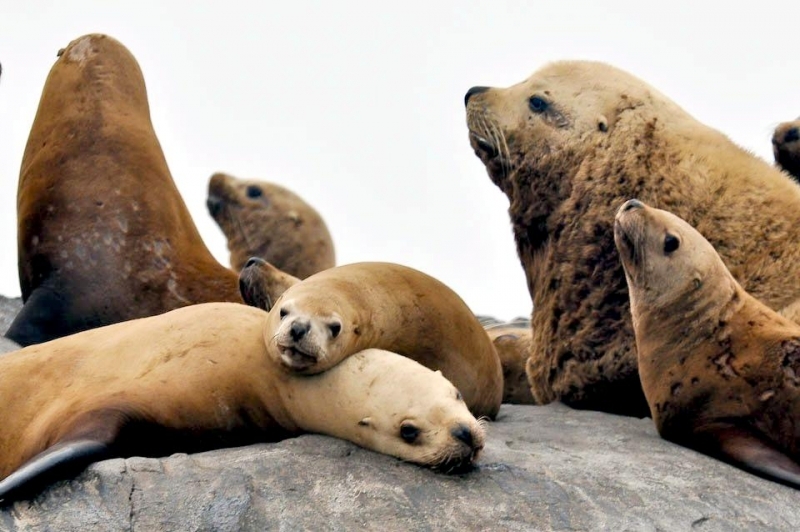 In 2000, Northern Sea Lions were estimated to have a global population of about 85,000, a decline of more than 50% since 1960 when an estimated 240-300,000 lived worldwide. 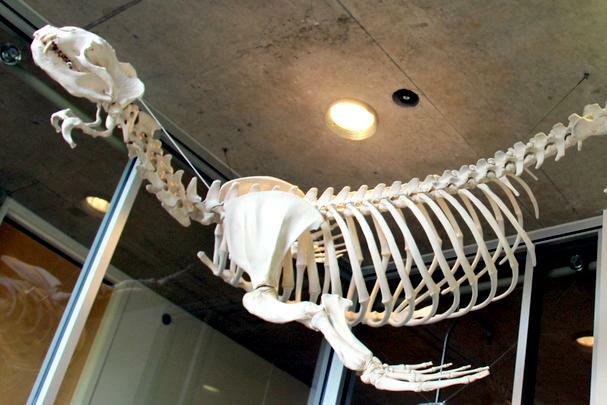 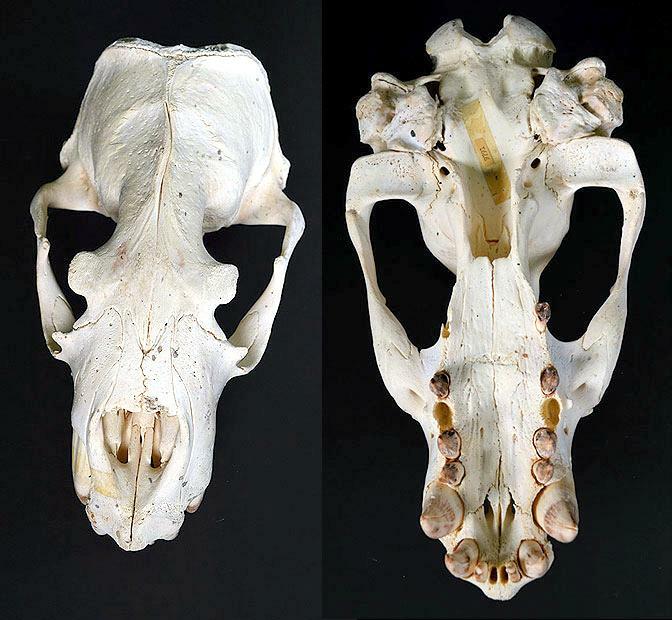 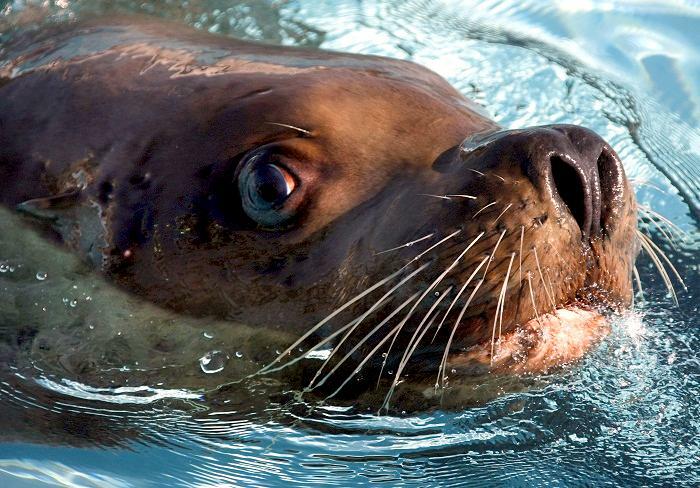 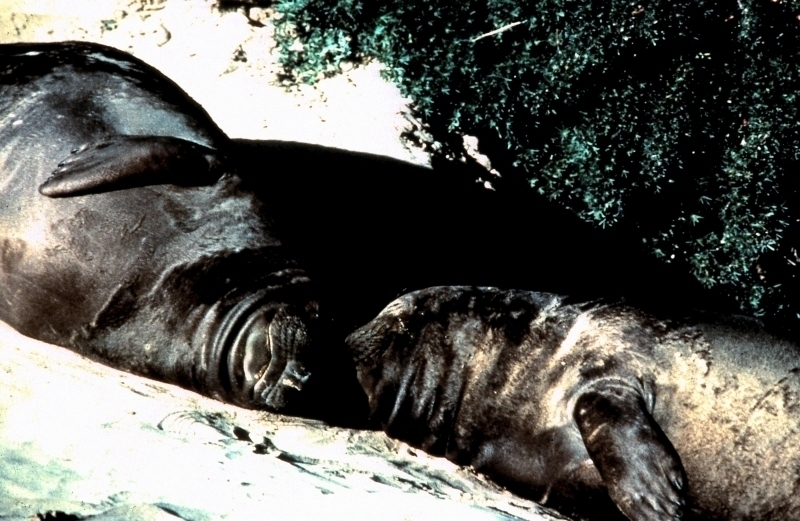 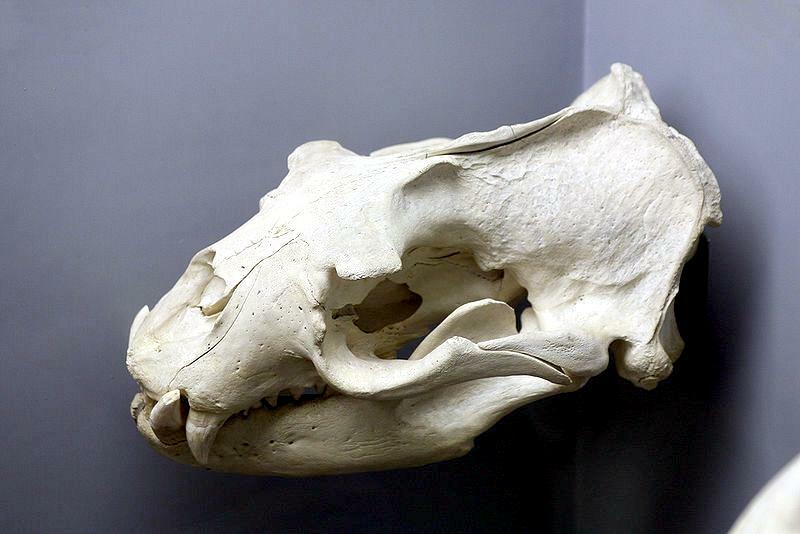 This sea lion can be found from the North Pacific Ocean from California to northern Japan. 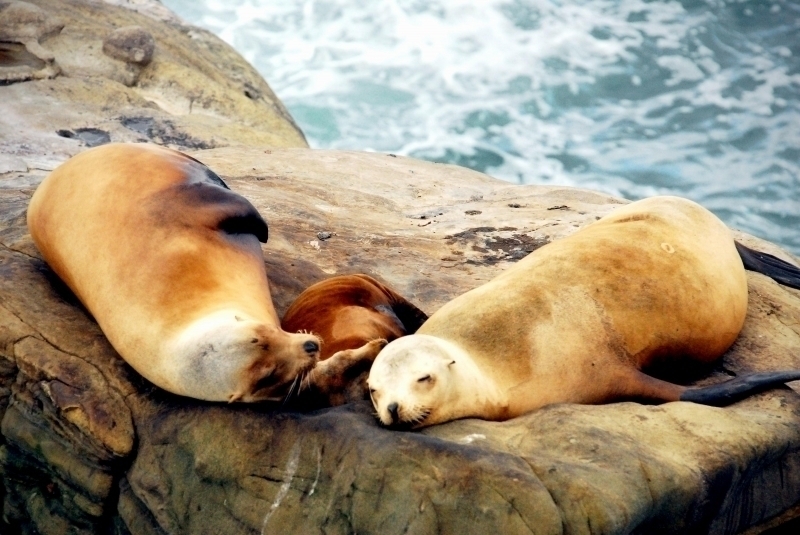 There are two distinct populations separated by genetics. 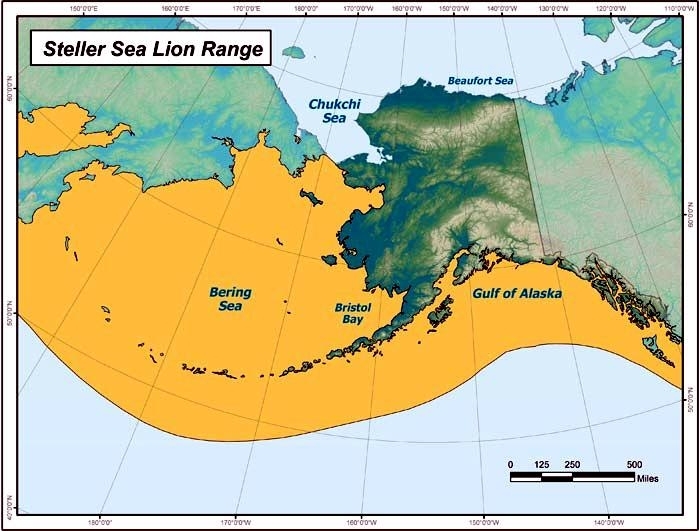 The “western population” which lives in the Gulf of Alaska, Bering Sea, Russia and small numbers in Japan and the “eastern population” which lives from California to Oregon, British Columbia and Southeast Alaska. 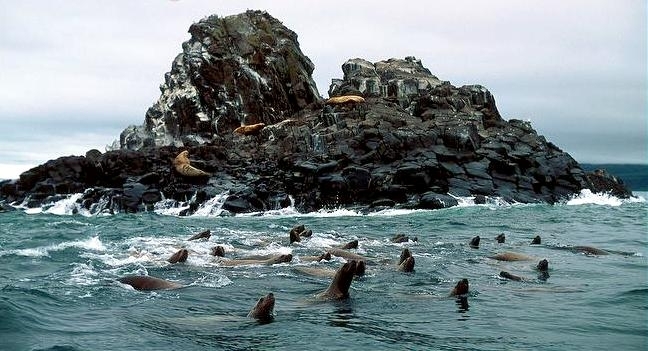 Individuals have been known to wander as far south as the Bohai & Huanghai Seas in China. 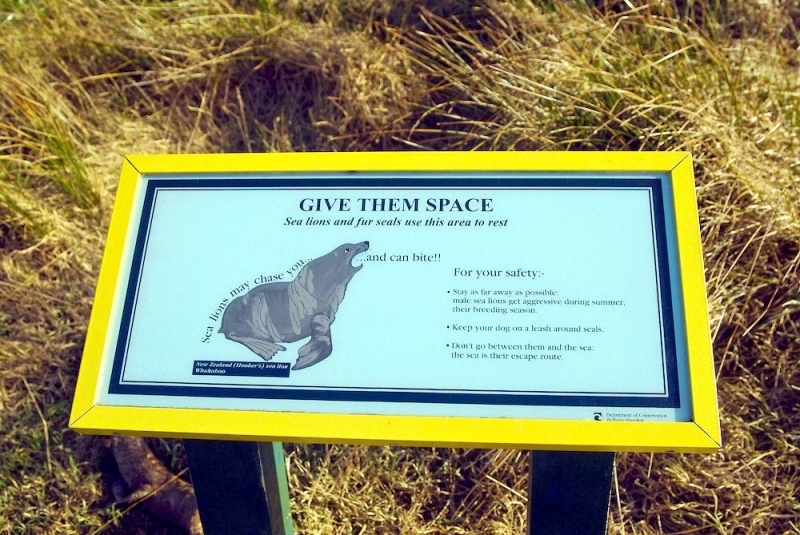 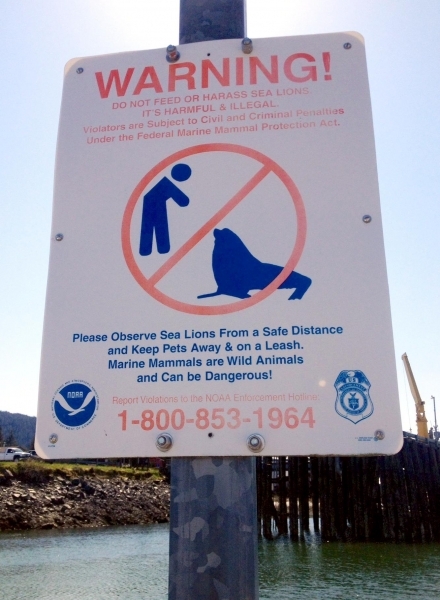 Predators include sharks and Killer Whales. 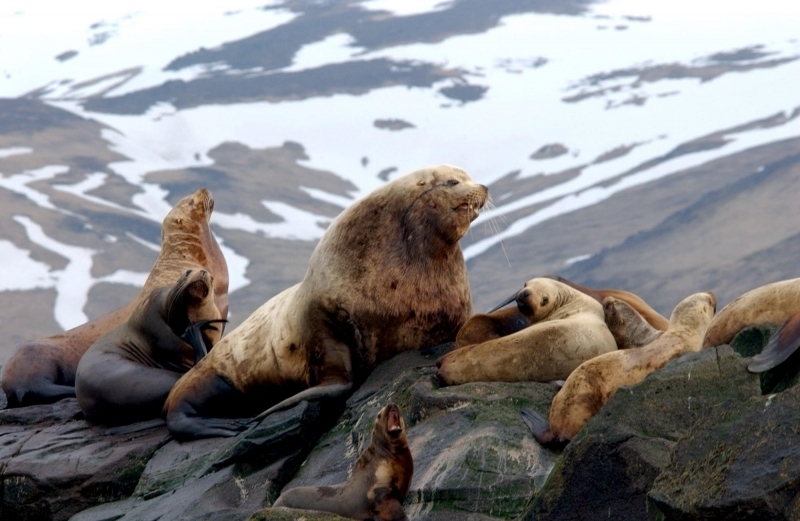 Predation by Arctic Foxes on pups has also been observed on the Russia’s Commander Islands. 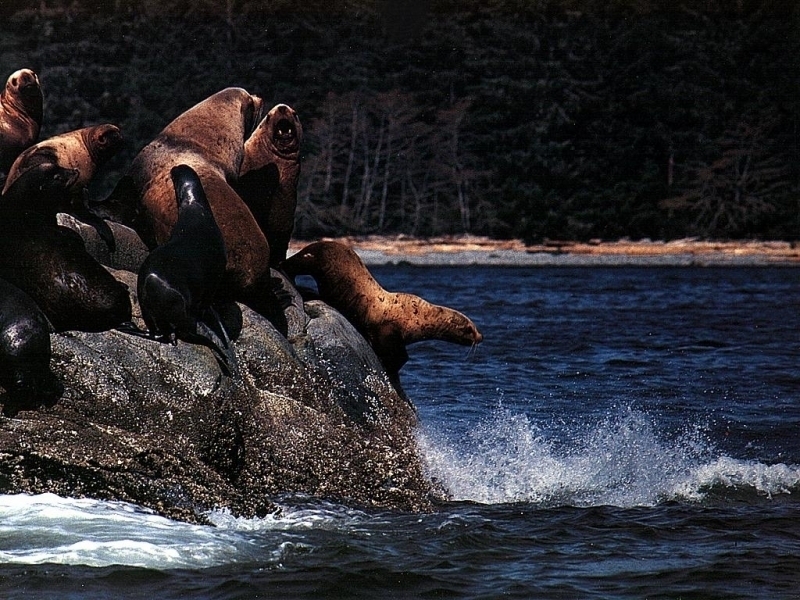 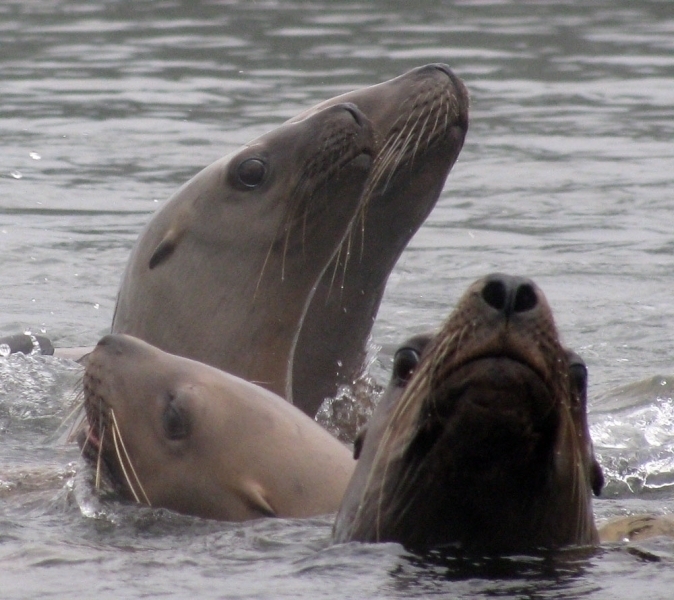 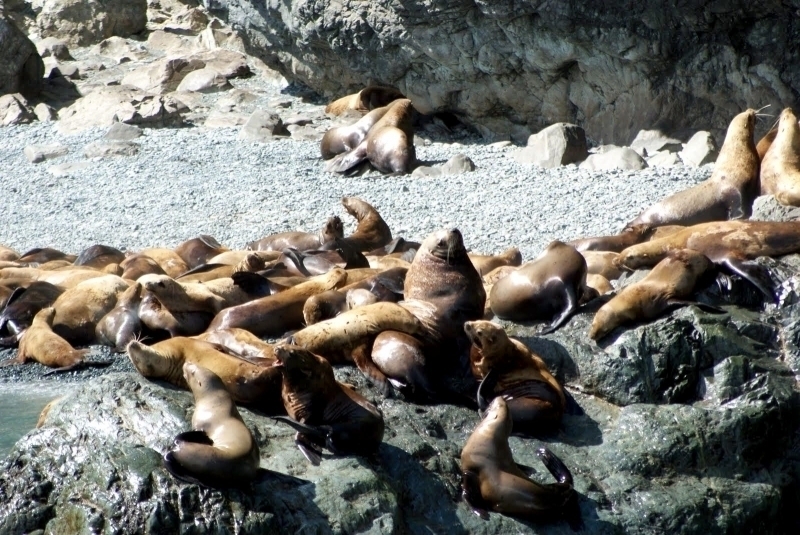 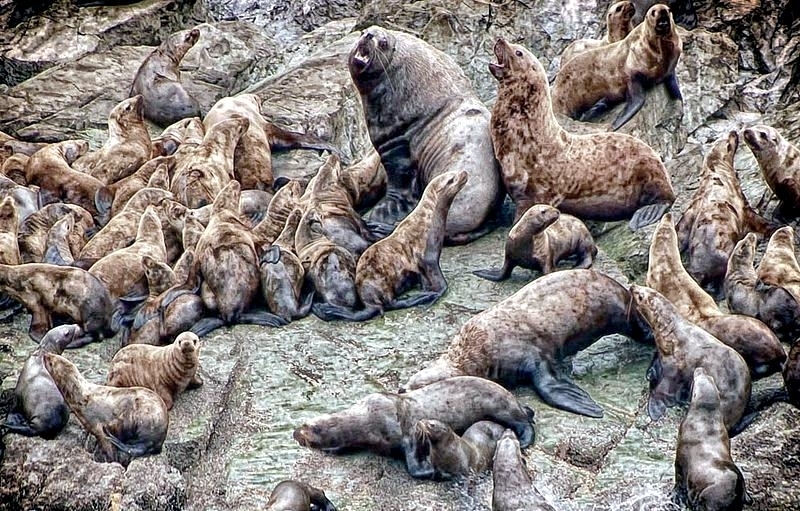 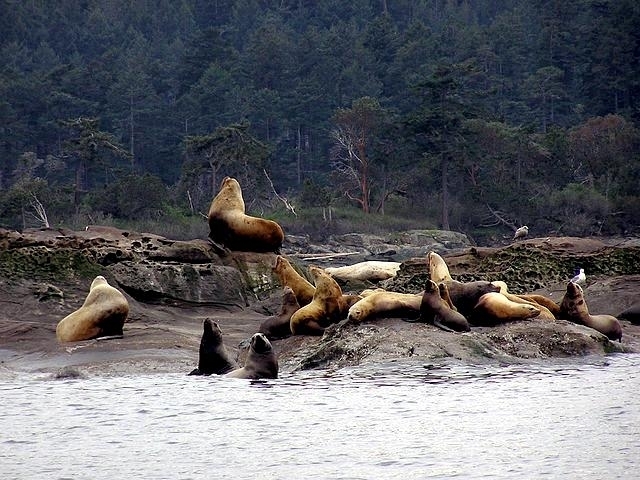 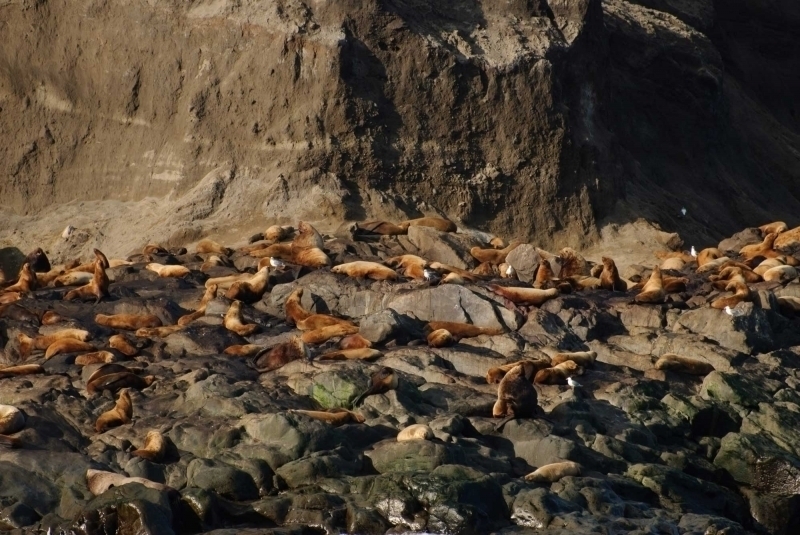 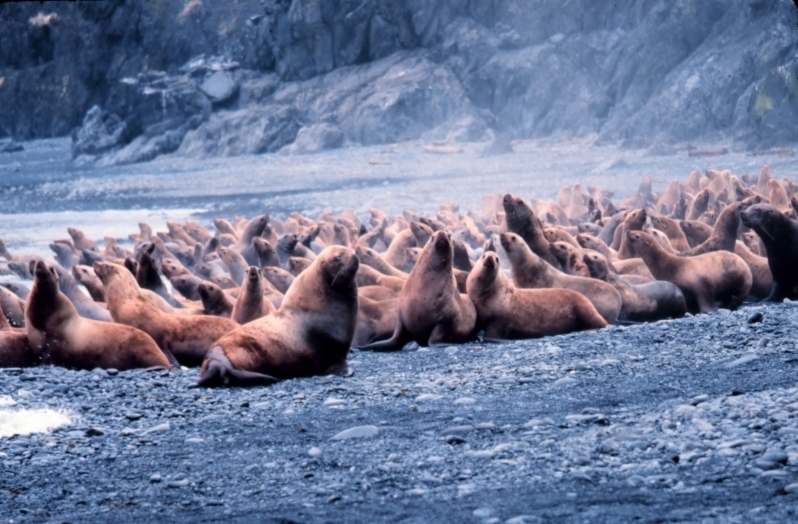 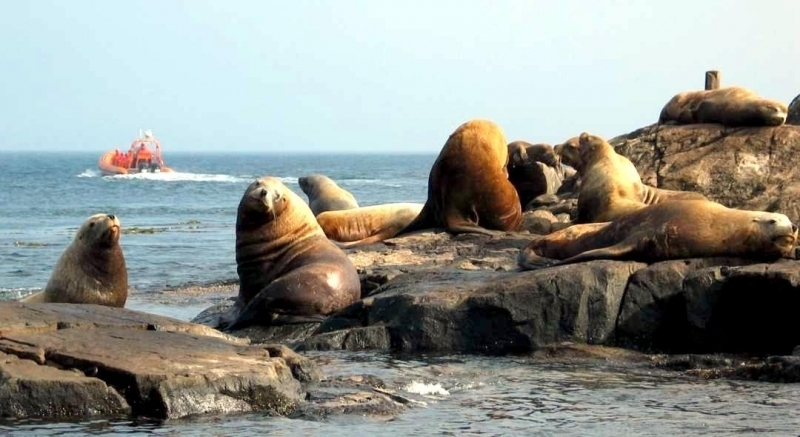 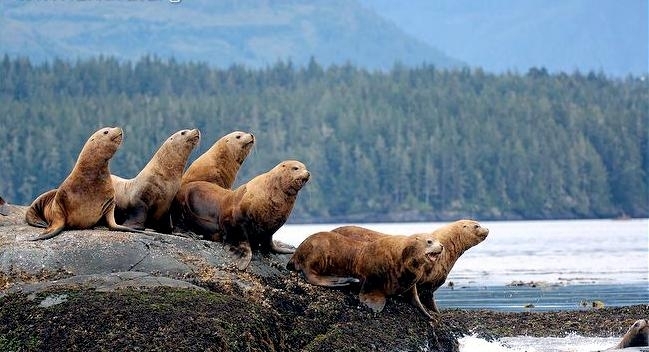 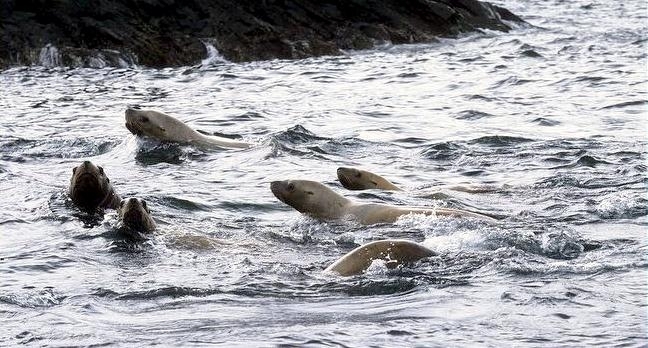 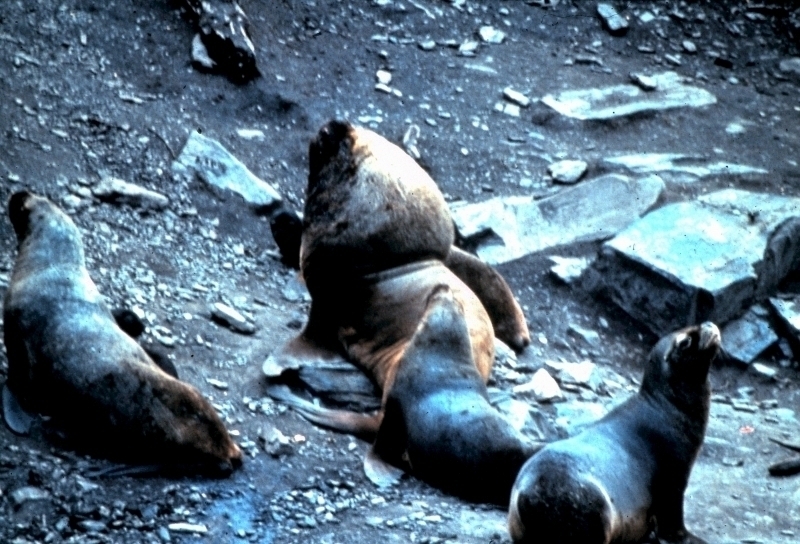 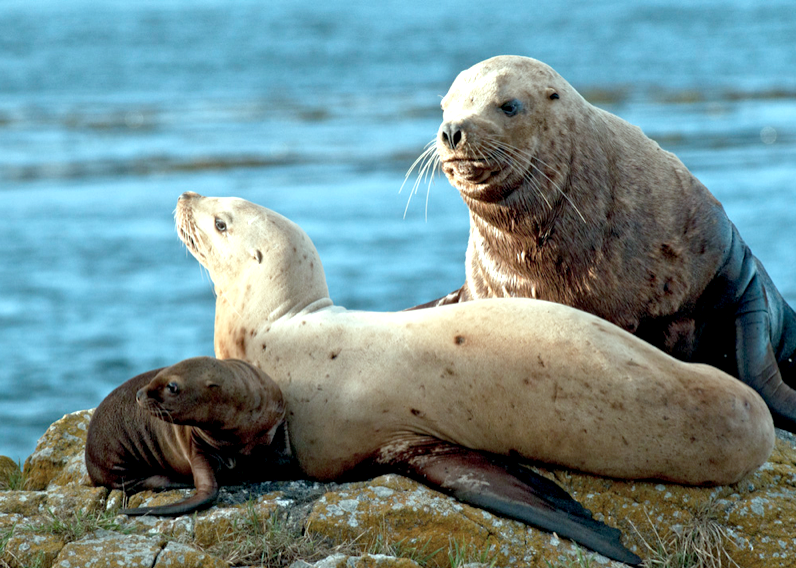 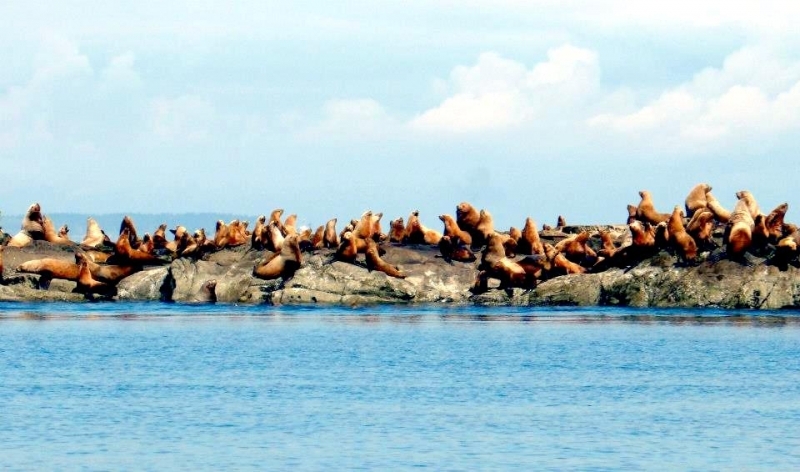 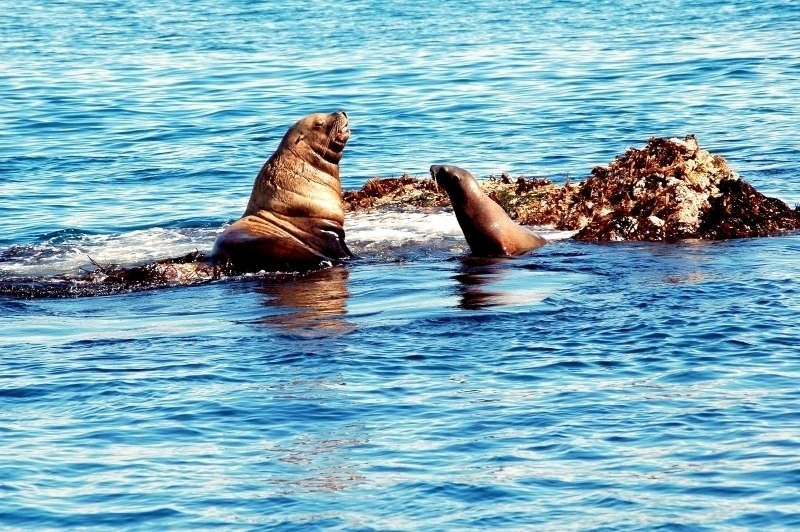 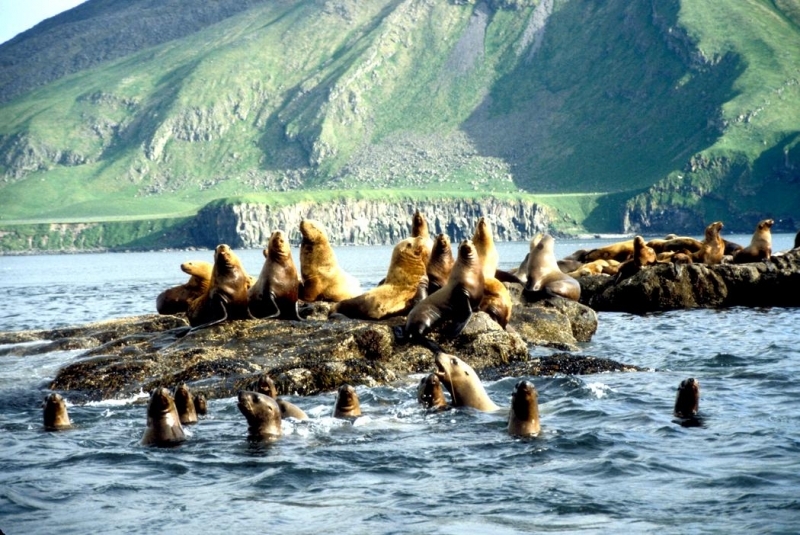 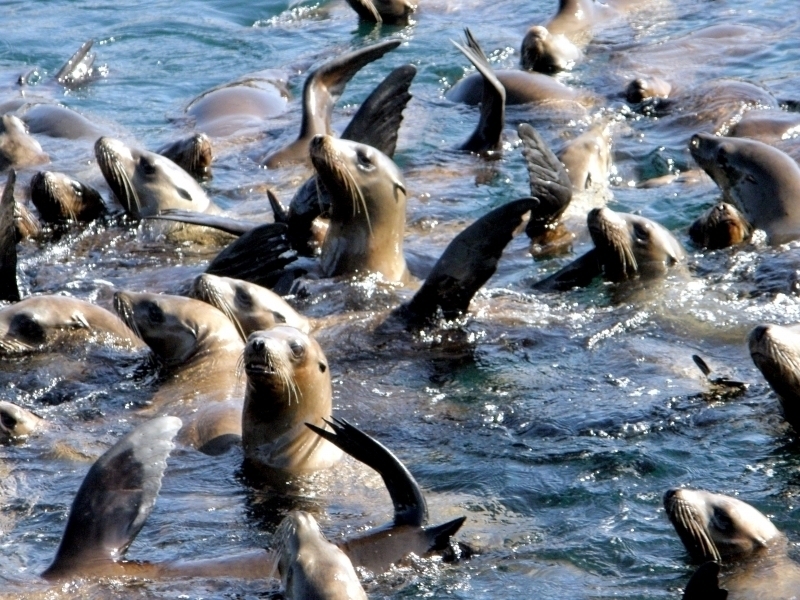 Some Northern Sea Lions, disperse widely outside the breeding season sometimes traveling up to thousands of kilometers away from the breeding site. 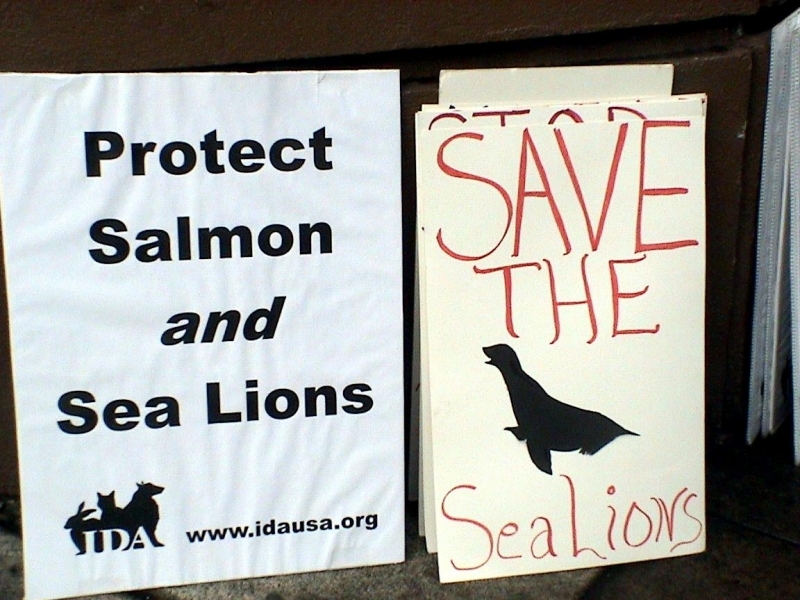 Movement among the 2 populations is limited. 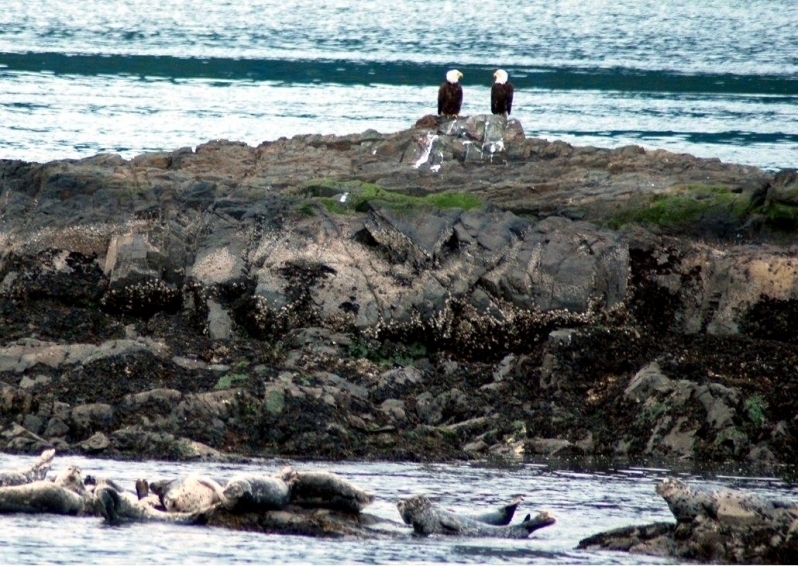 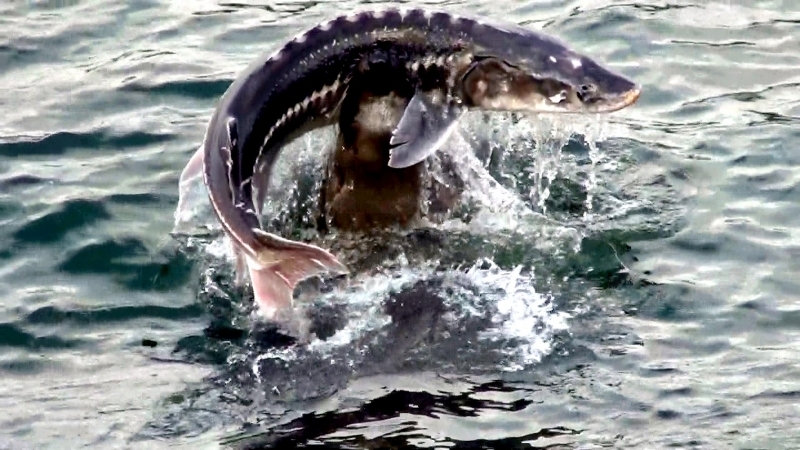 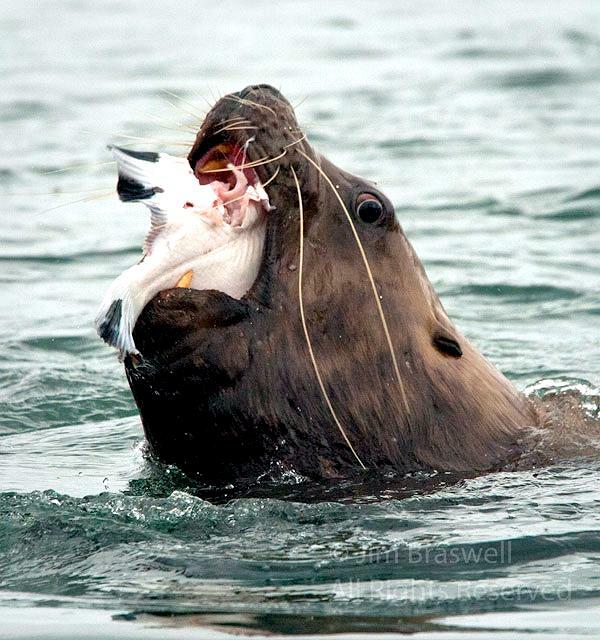 They forage near the shore for fish such as pollock, herring, capelin, mackerel, rockfish, squid & octopus. 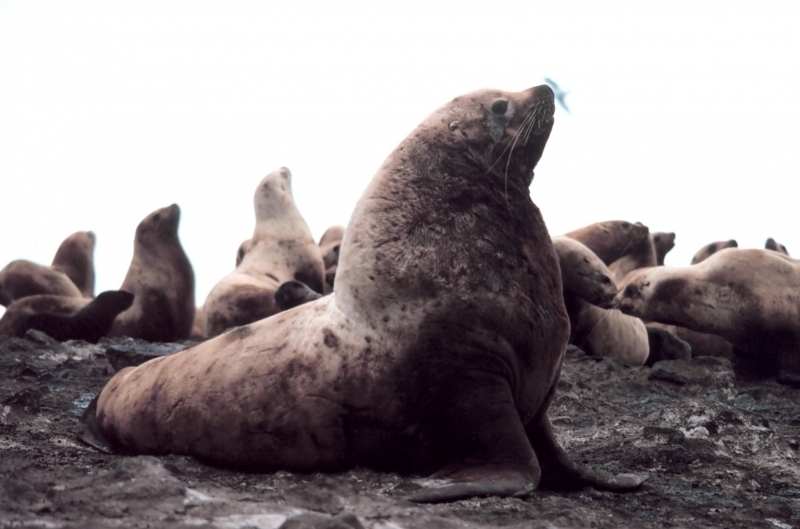 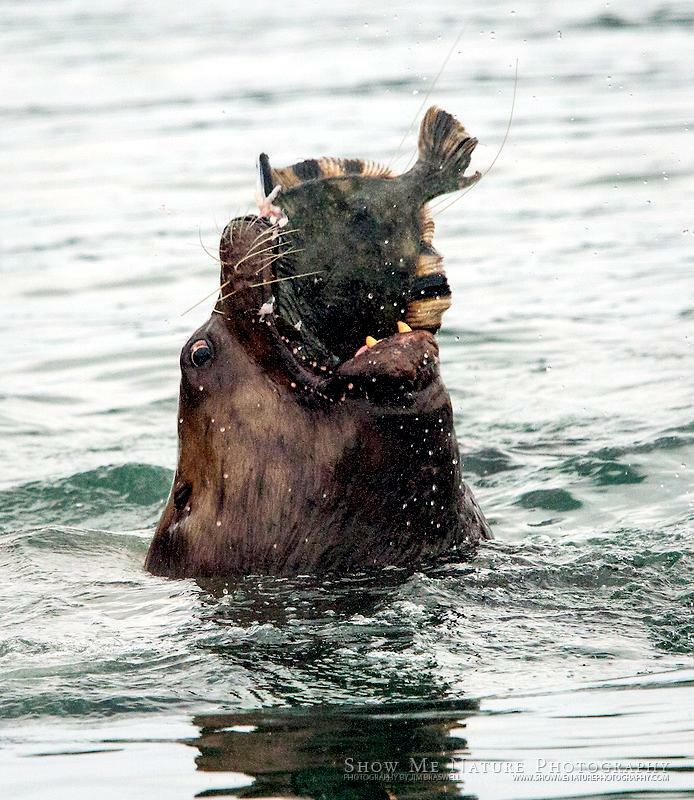 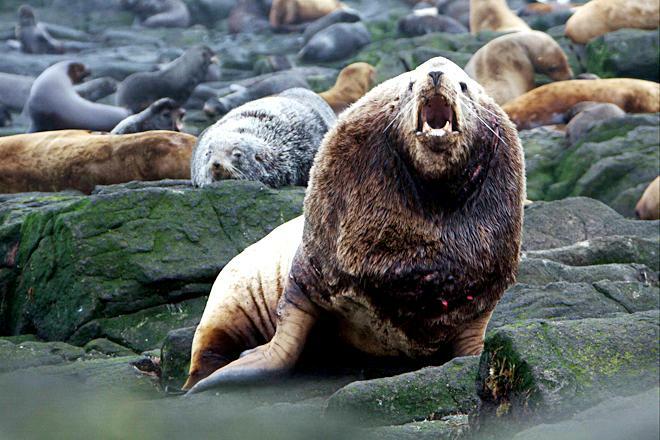 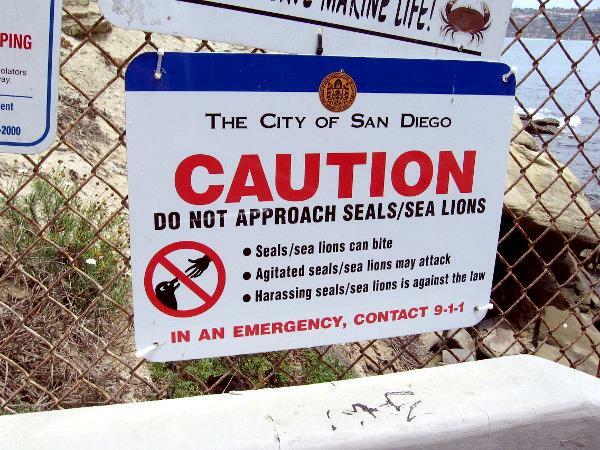 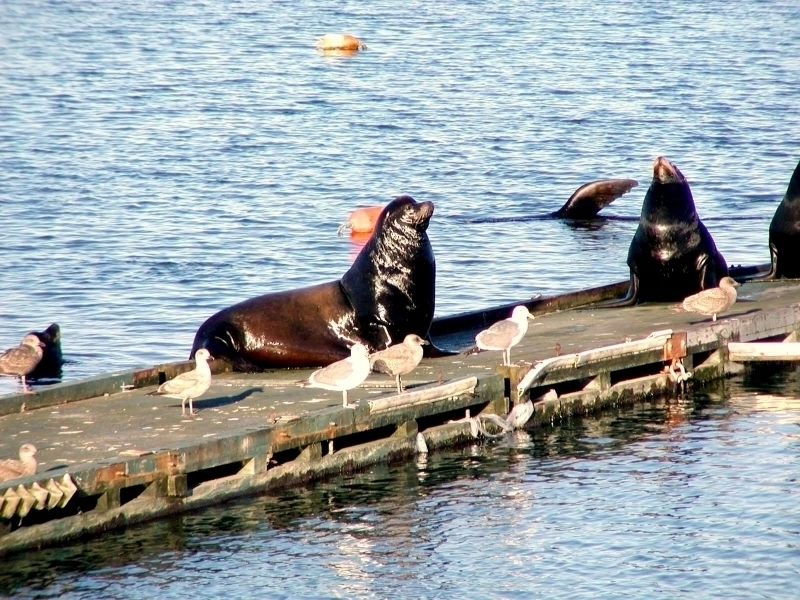 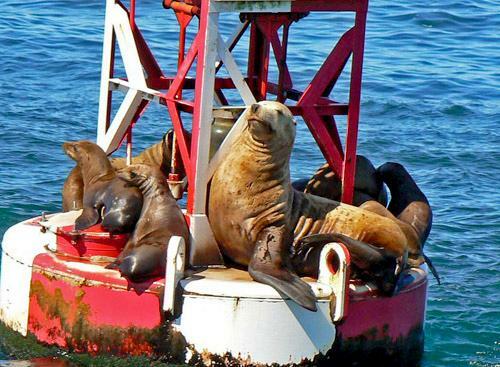 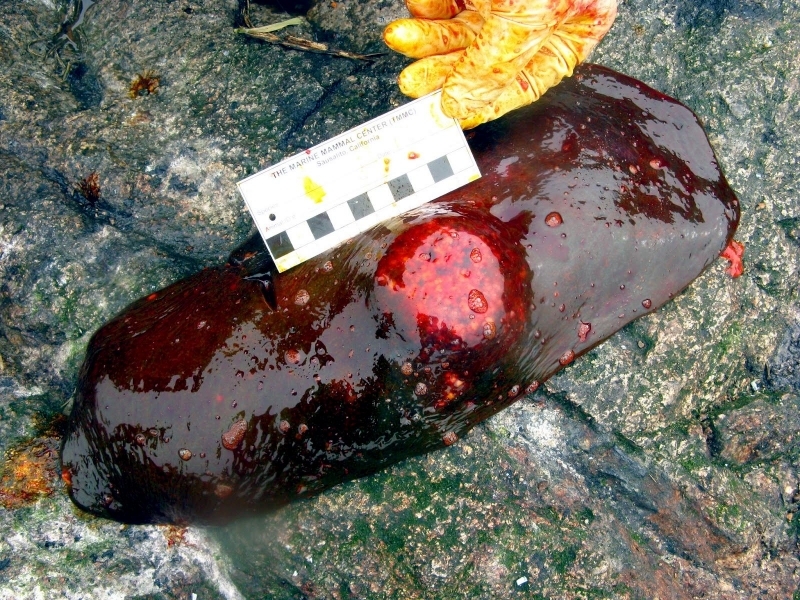 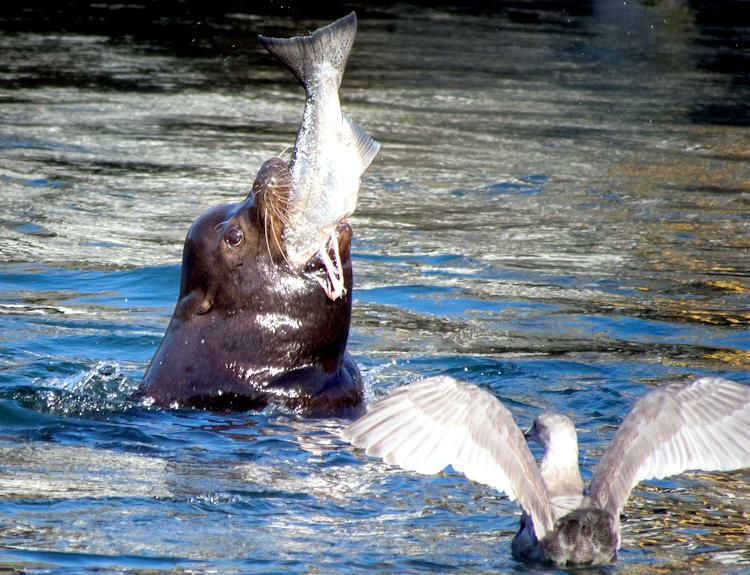 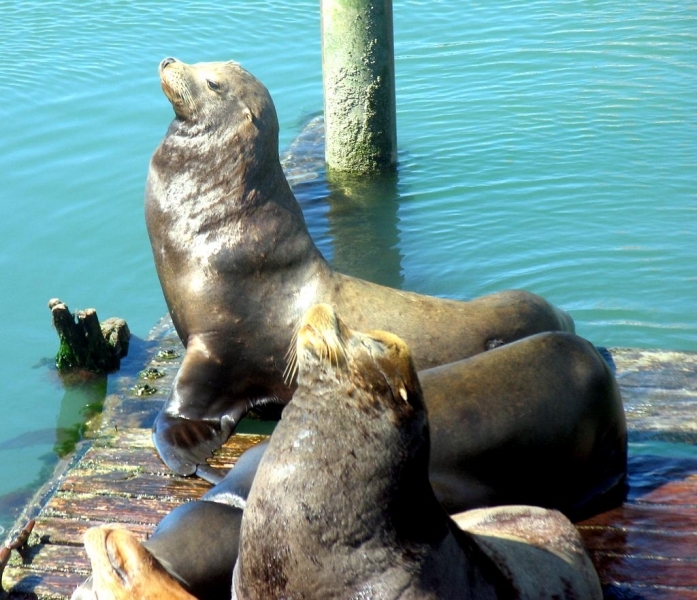 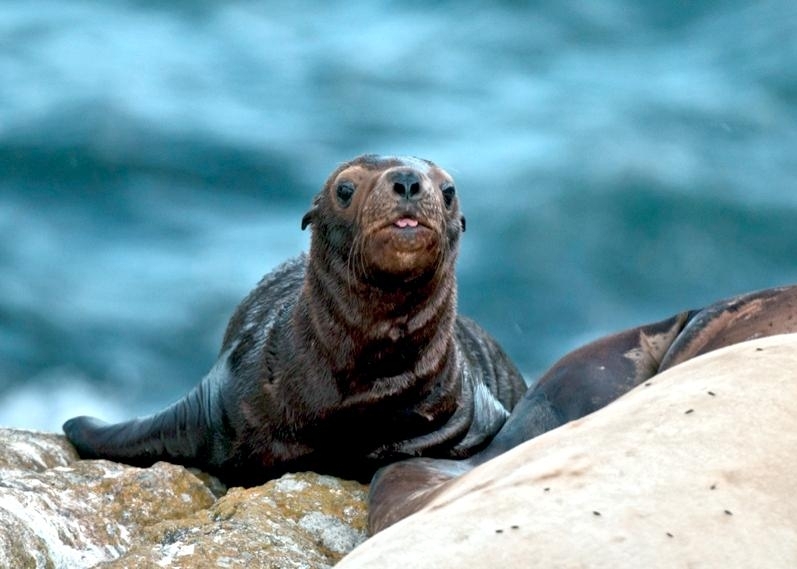 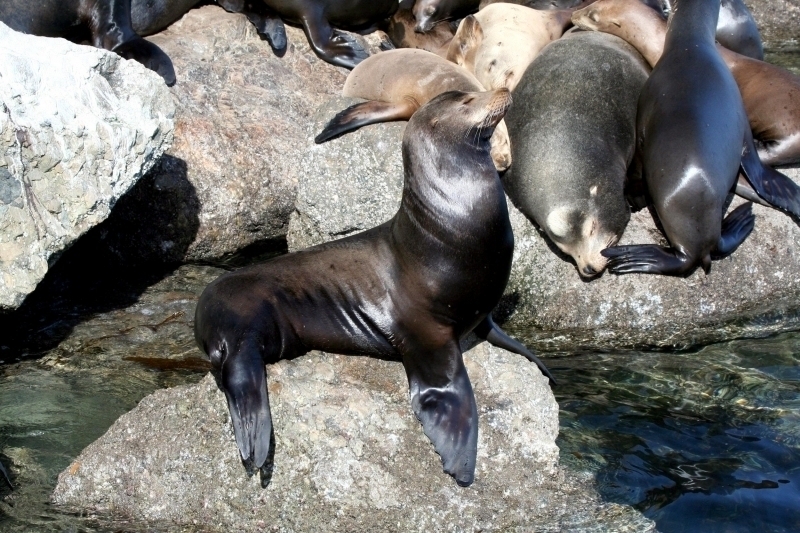 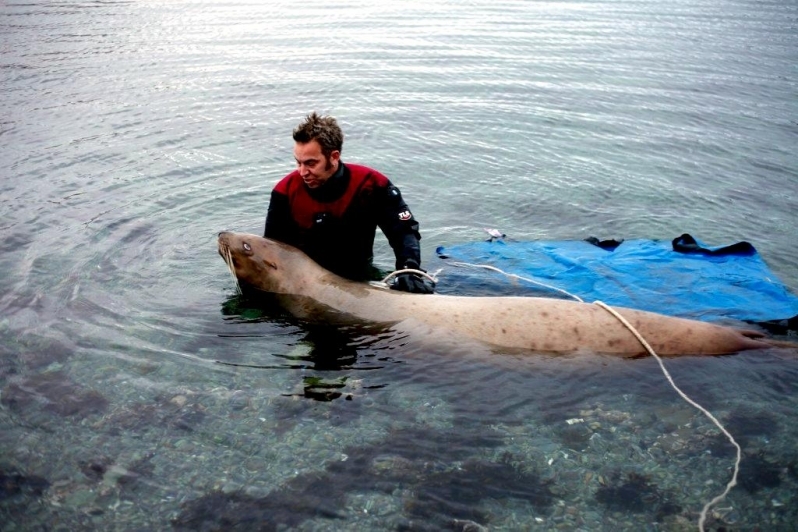 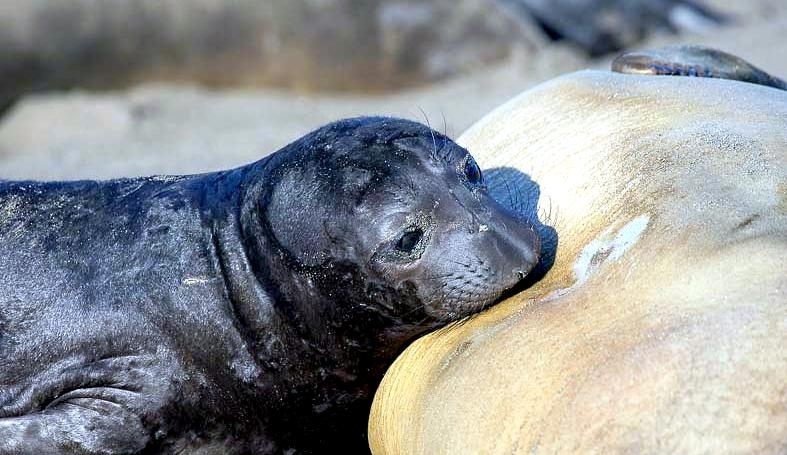 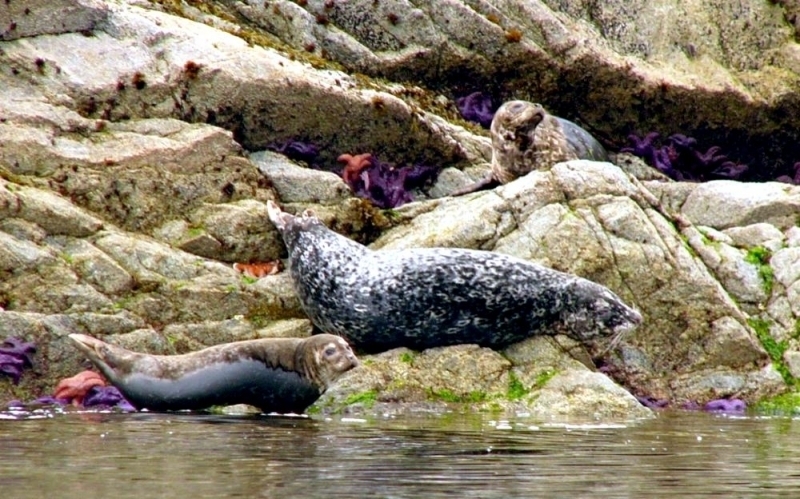 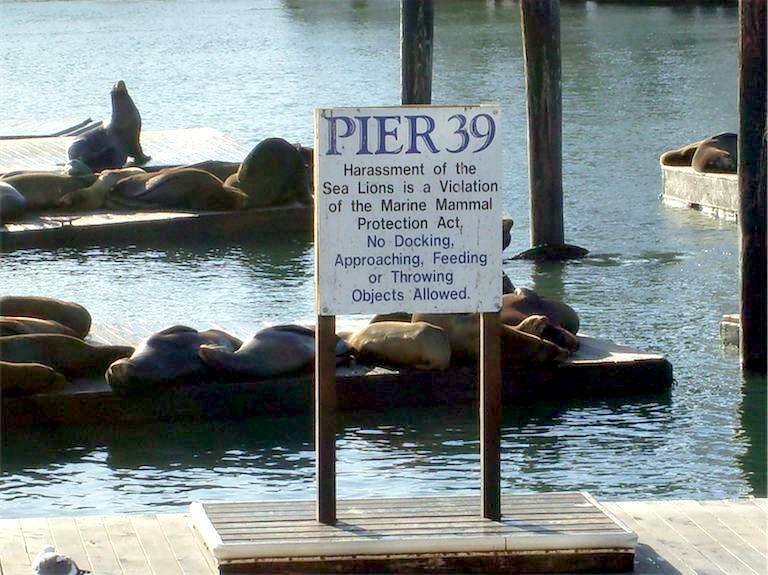 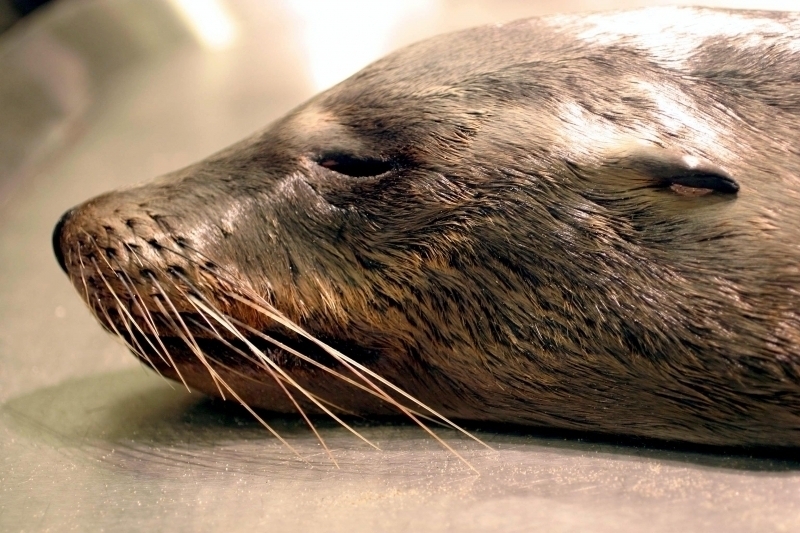 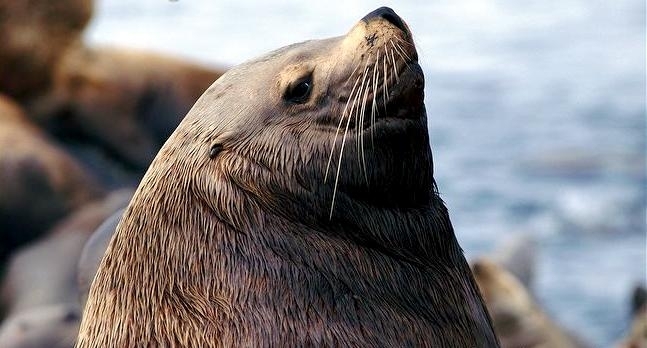 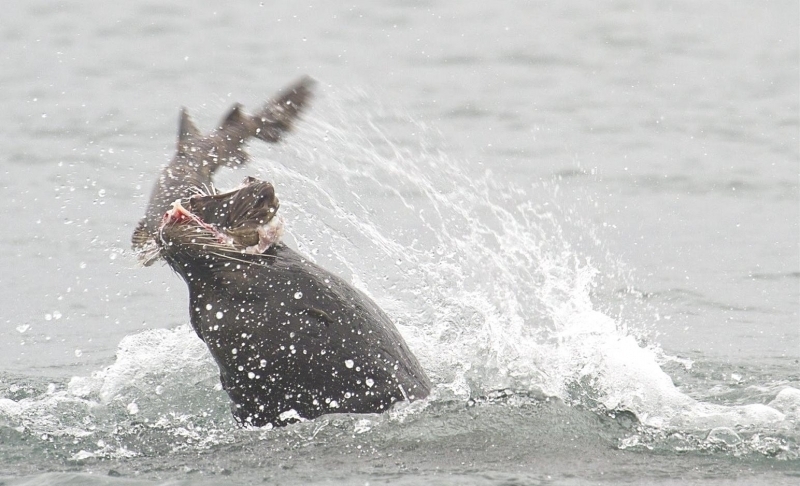 They have been known to eat Northern Fur Seal pups, Harbor Seals and Ringed Seals on occasion. 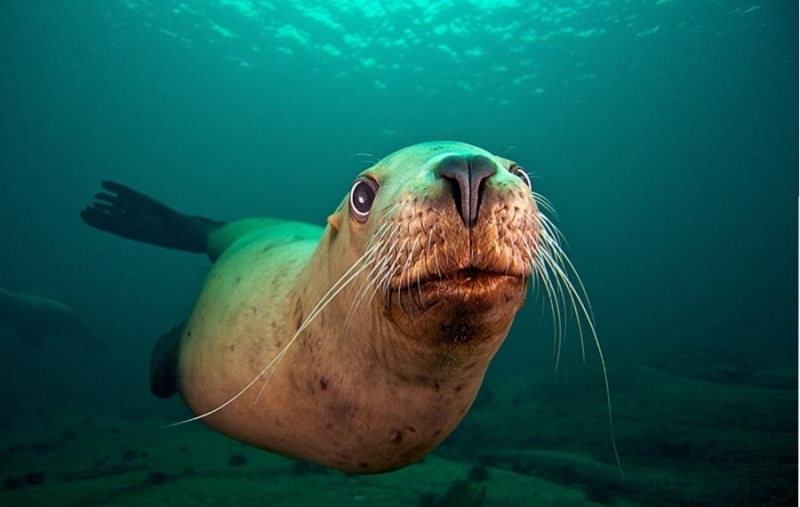 Although they are not typically deep divers, one individual has been observed diving to a depth of over 400 meters. 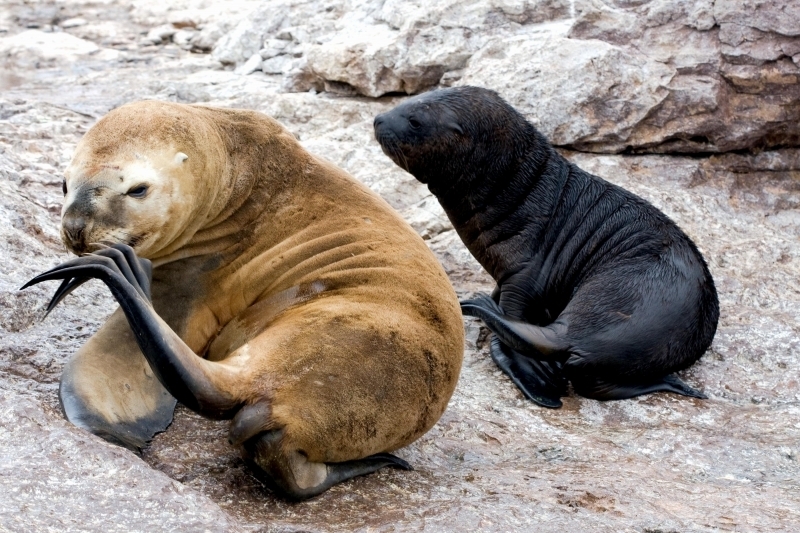 Females reach sexual maturity between 3-8 years, males between 3-7 years, however males do not become territorial around until they reach 9-13 years. 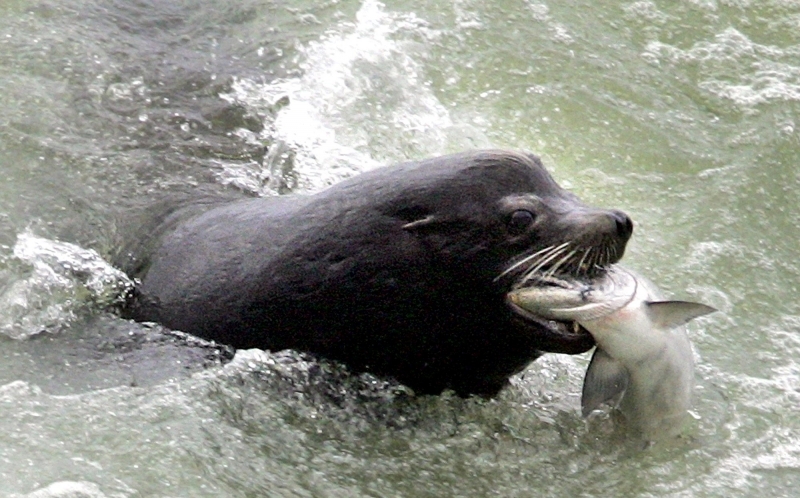 Breeding season lasts from mid-May to mid-July. 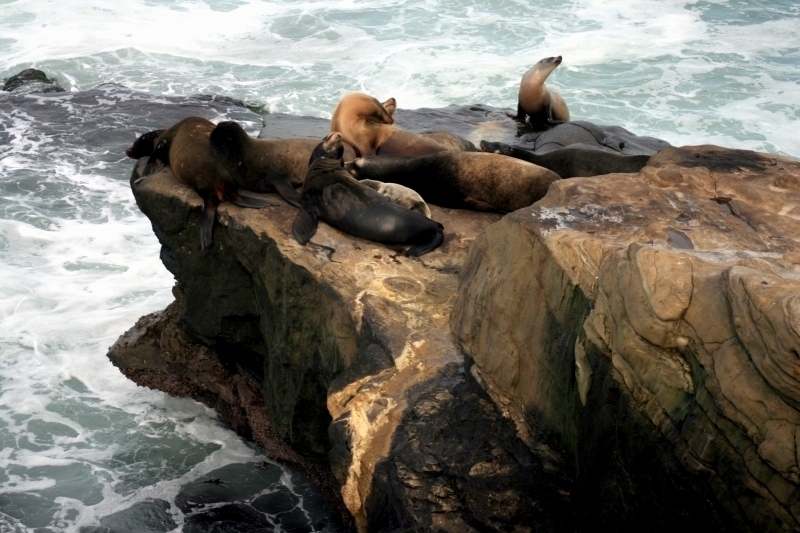 Dominant males arrive early to establish territories on the breeding rookeries on exposed rocks & beaches. 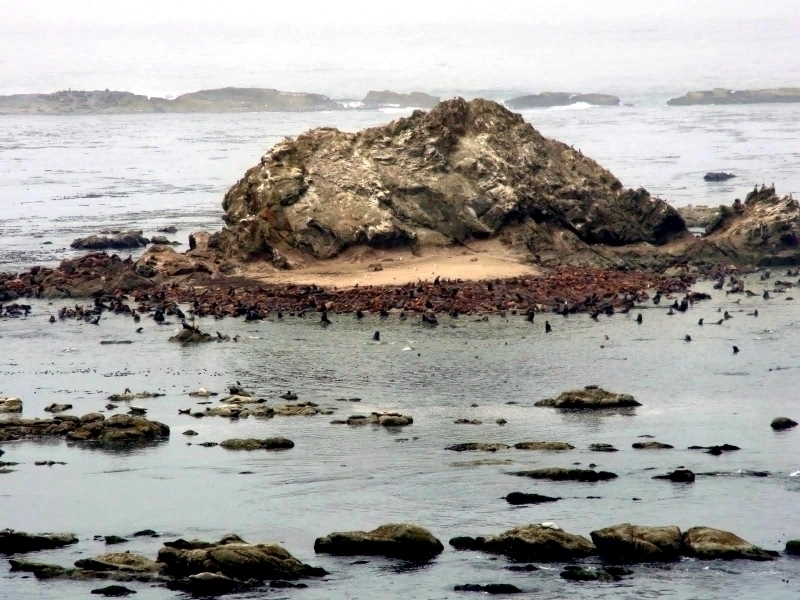 These rookeries often have adjoining haul-out sites and some rookeries are used as haul-out sites when breeding season is over. Females give birth about 3 days after arriving at the rookery. 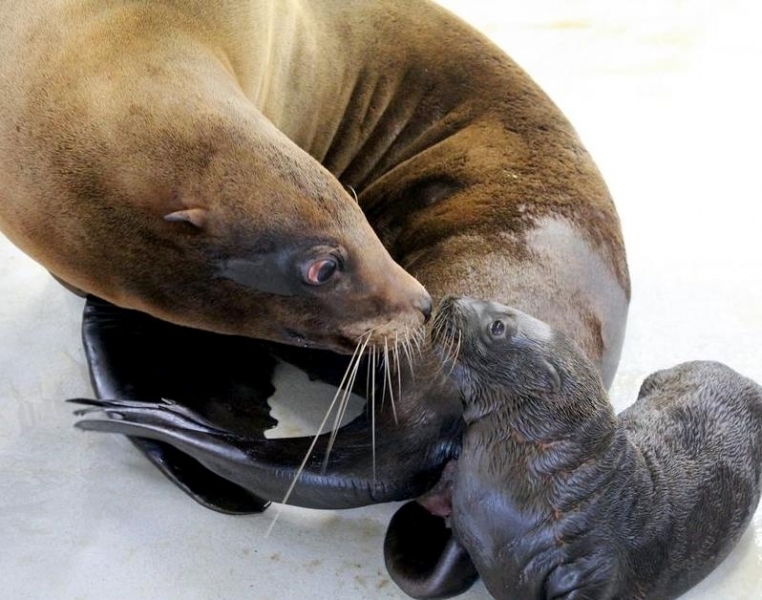 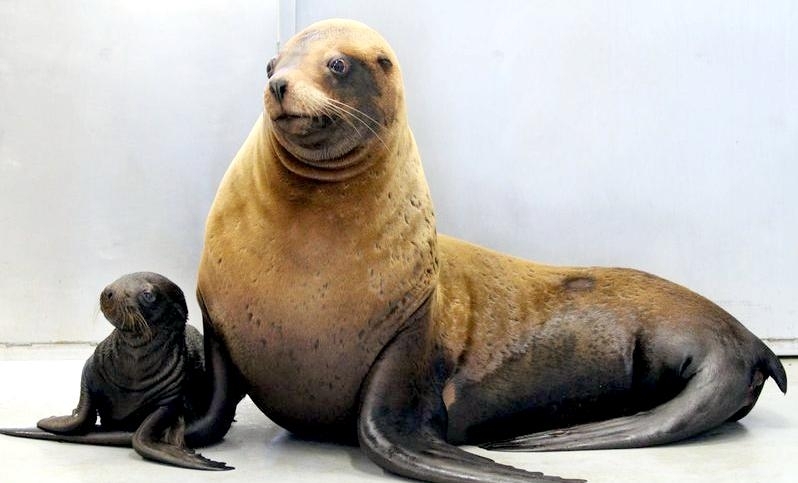 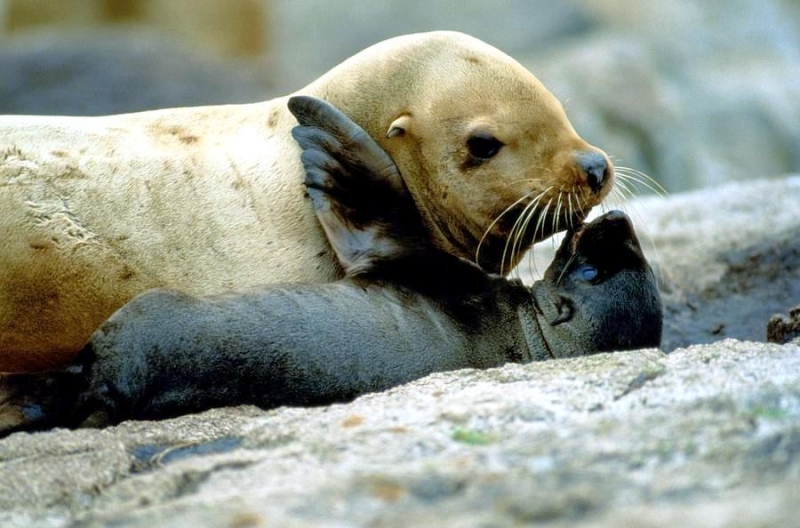 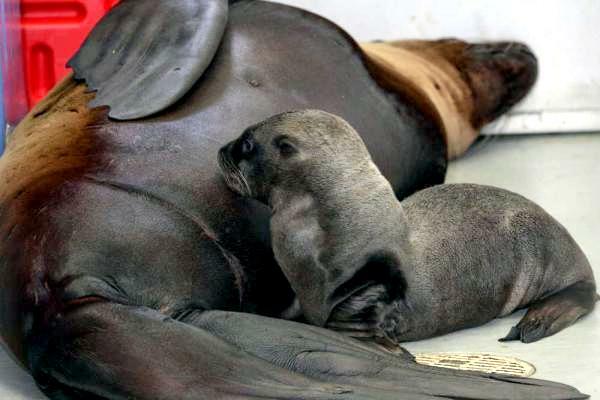 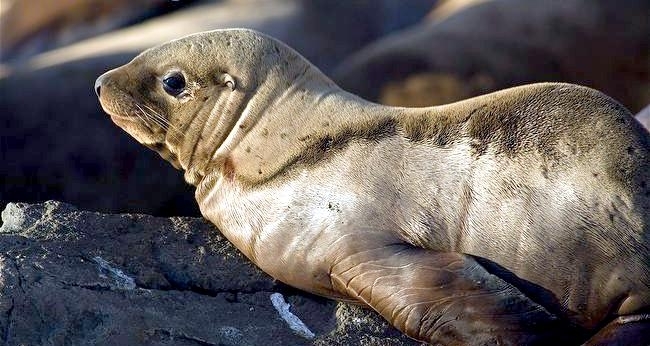 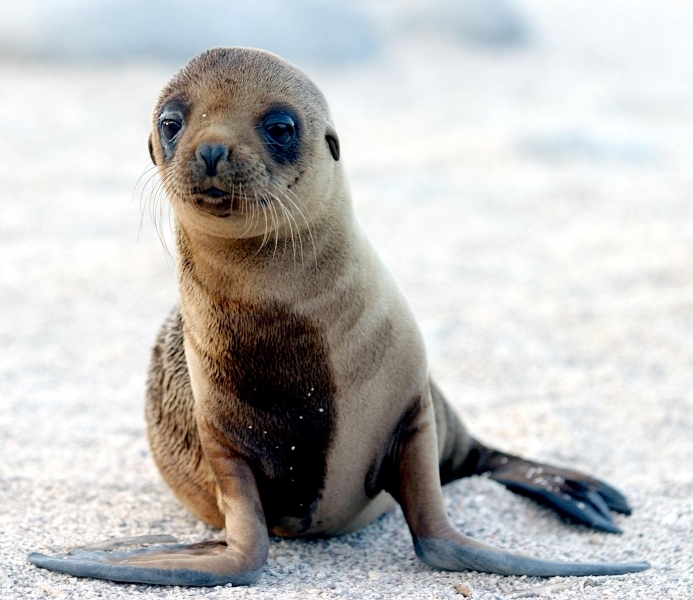 Northern Sea Lion pups are born measuring about 1 meters in length and weighing 16-23 kilograms with a thick, dark-brown coat that will be shed in 4-6 months for a lighter brown coat. 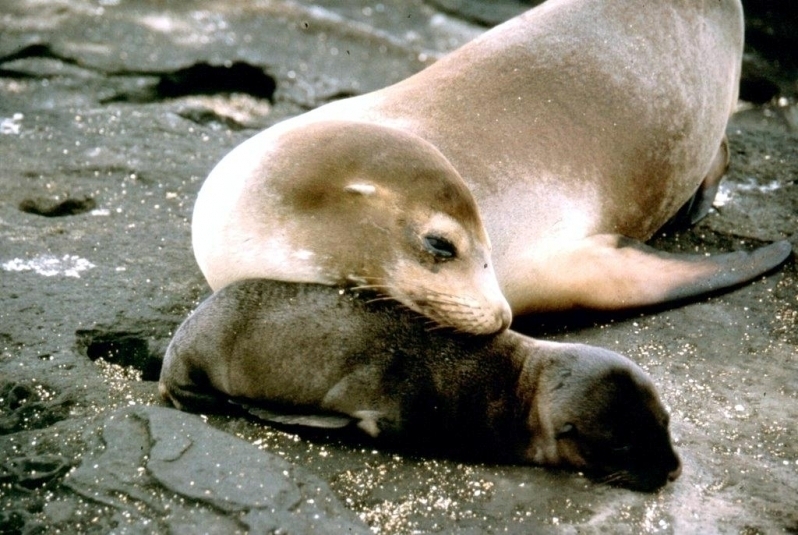 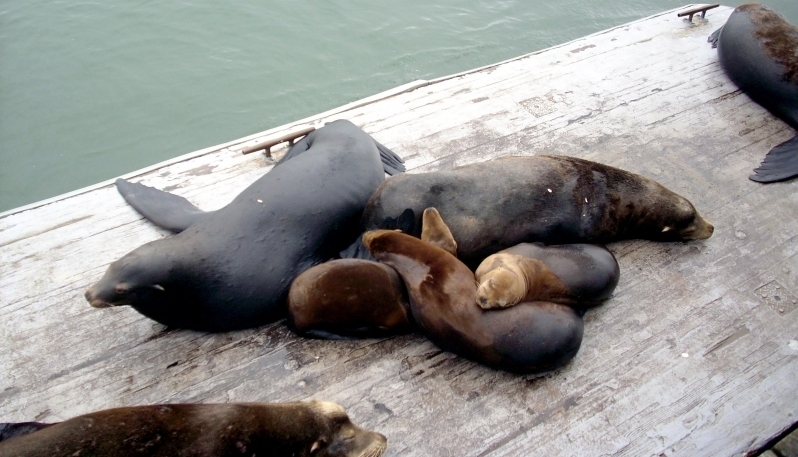 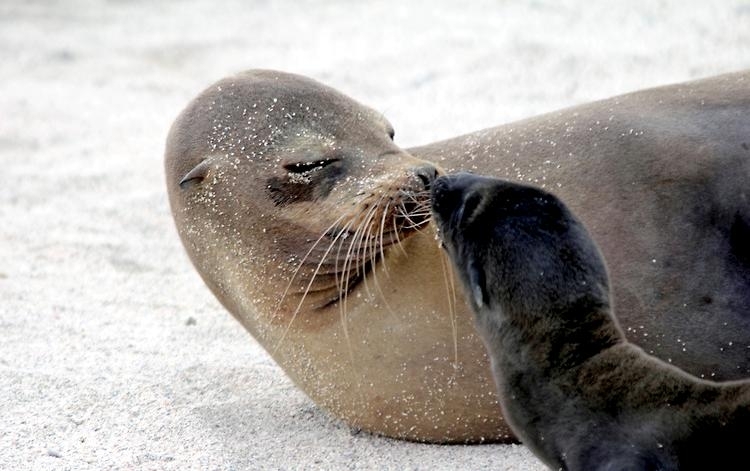 About 9 days after giving birth, females begin a feeding cycle alternating between 1-3 days feeding at sea and 1-2 days nursing her pup on land. 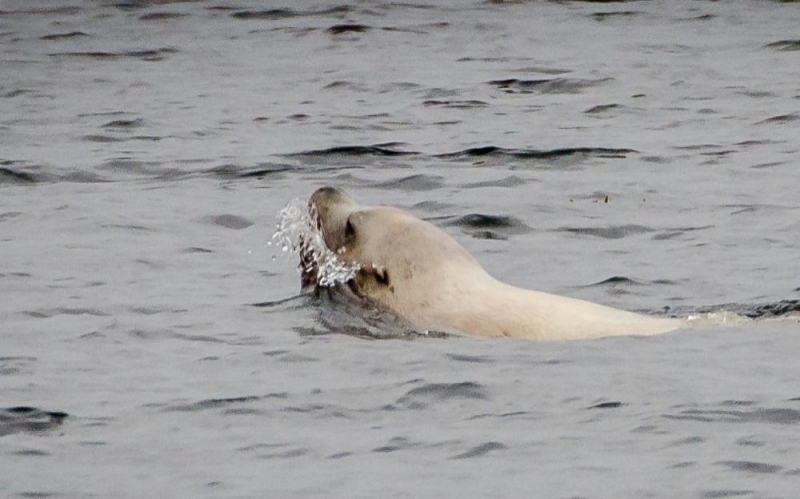 Closer to weaning, the mother spends more time feeding at sea. 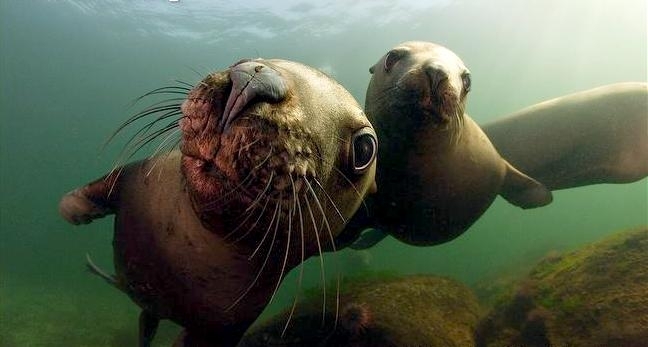 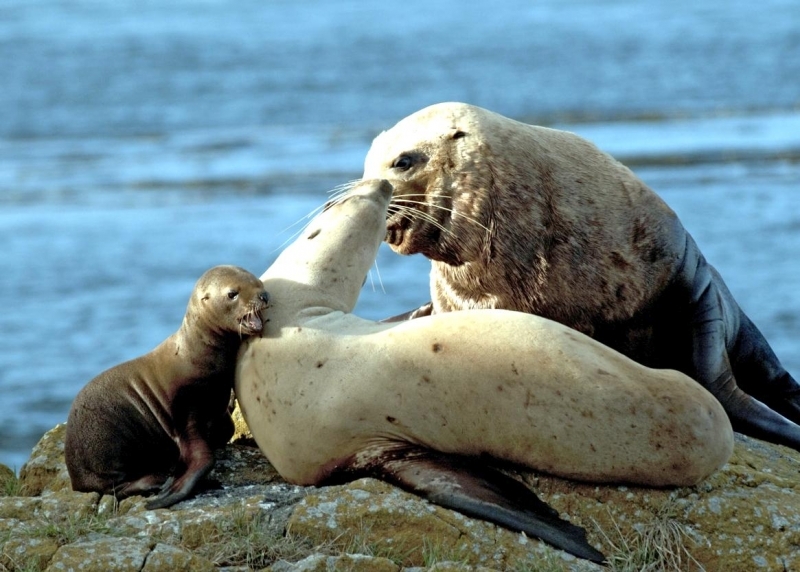 The average nursing period is 1 year, however Northern Sea Lions have been known to nurse up to 3 years. 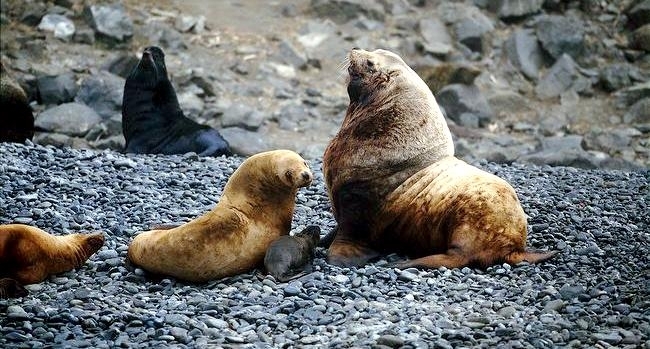 Females mate about 11-14 days after giving birth. 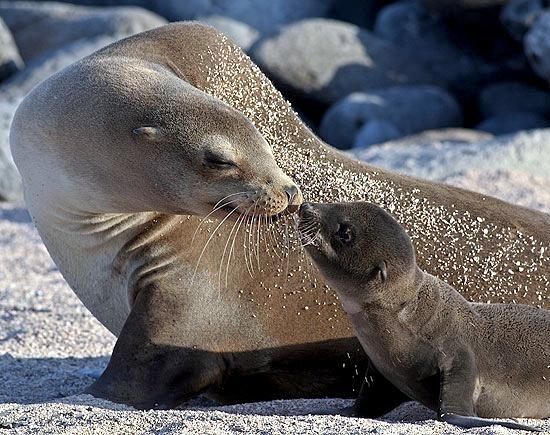 Breeding season is followed by molting season. 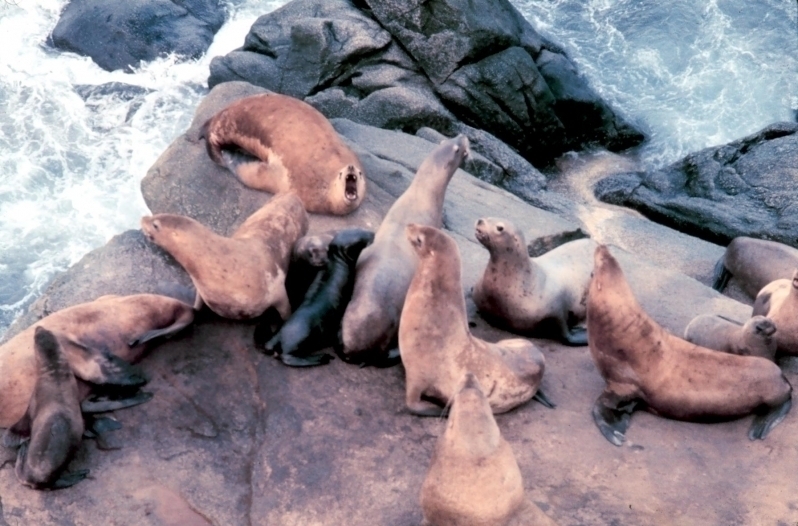 Females molt in early autumn followed by males in late autumn. 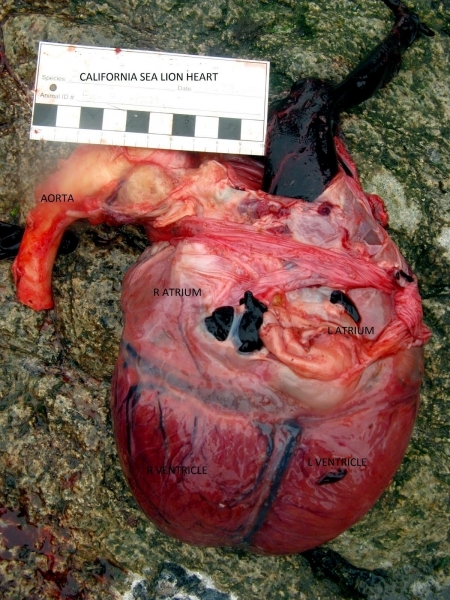 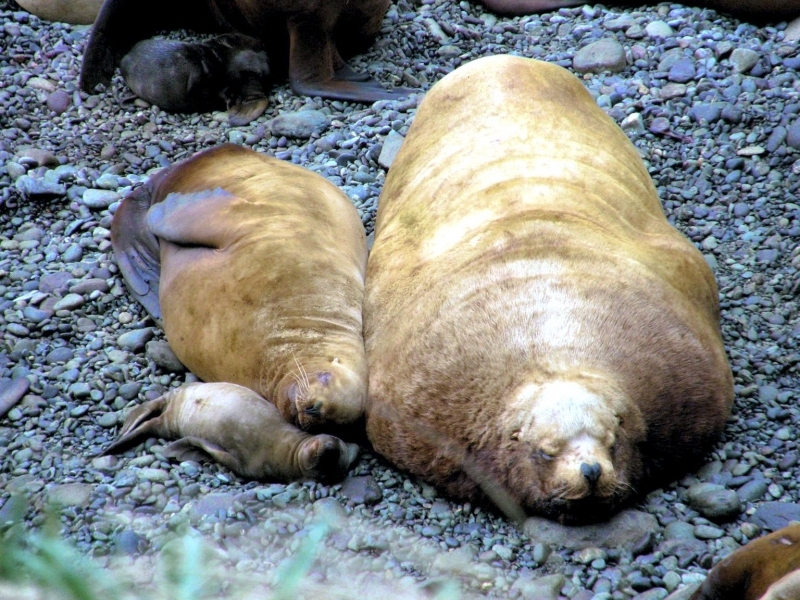 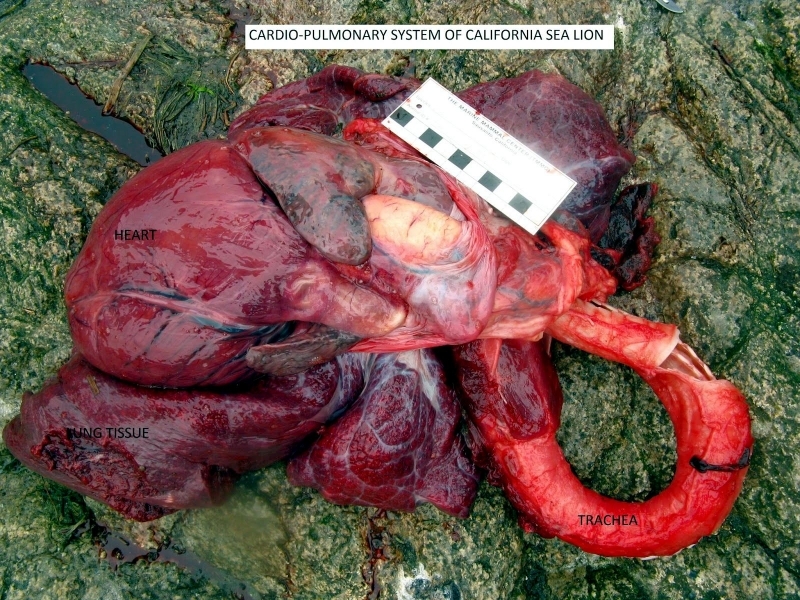 Juvenile and non-breeding Northern Sea Lions molt in July & August.